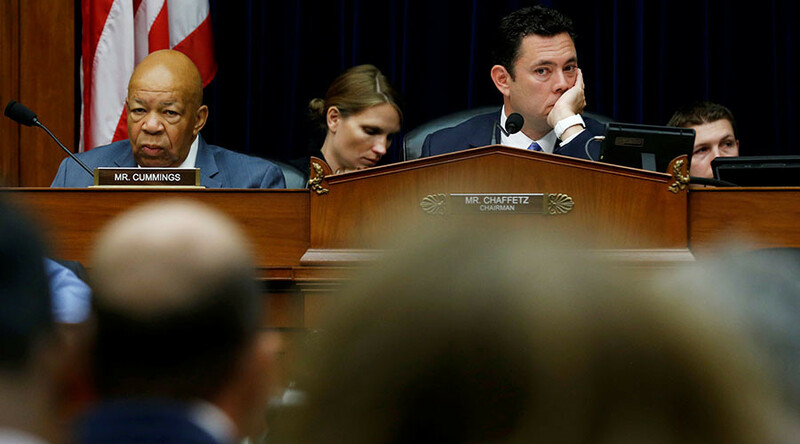 Like most Americans, the House Committee on Oversight and Government Reform isn’t happy with the Transportation Security Administration. Its acting administrator was found to be unnecessarily secretive and risks being sued. A tense meeting between the House Committee on Oversight and Government Reform and the TSA revealed that the most frustrating aspects of the federal agency went far beyond taking shoes off for screenings. TSA acting administrator, Huban Gowadia, was asked to provide hundreds of pages of documents to the committee. However, Gowadia testified that “unwritten” rules from the Department of Homeland Security (DHS) prevented her from providing the information to the committee. This was disputed by the DHS, who told a very different story about the TSA’s resistance to share information. DHS Inspector General John Roth testified before the committee that the TSA had intentionally hindered the ability of the department to monitor waste, fraud, abuse and mismanagement. “Oversight fosters positive change and makes government better,” Roth began. Unfortunately, his review of the TSA described an agency that seemingly thwarted the Office of the Inspector General (OIG). The biggest problem was the TSA’s penchant for classifying information to the OIG dated back to 2014 when Roth said he first became concerned about the TSA’s use of Sensitive Security Information (SSI), or redacted, designations. One report singled out, showed that information requested by the OIG contained redacted information that was already public knowledge. This was not only frustrating, but posed serious threats to whistleblowers who may have been silenced by this process. “The various categories of SSI are vague in nature, inviting differing interpretations about what qualifies as SSI and making it difficult for whistleblowers to determine whether the information may properly be disclosed,” Roth added. Carolyn Lerner, special counsel to the Office of Special Counsel, said that her office had received 315 whistleblower complaints since 2012, but the majority were unreadable due to the TSA’s use of SSIs. The dramatic report resulted in quick action from the committee. Gowadia was ordered by House Committee Chairman Jason Chaffetz (R-UT) to turn over all the requested documents by next Friday or face a subpoena.